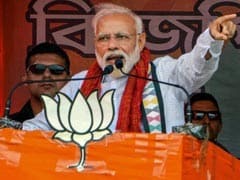 The BJP, Congress have been training guns at each other after Vijay Mallya claimed in London on Wednesday that he had met Arun Jaitley before leaving India. 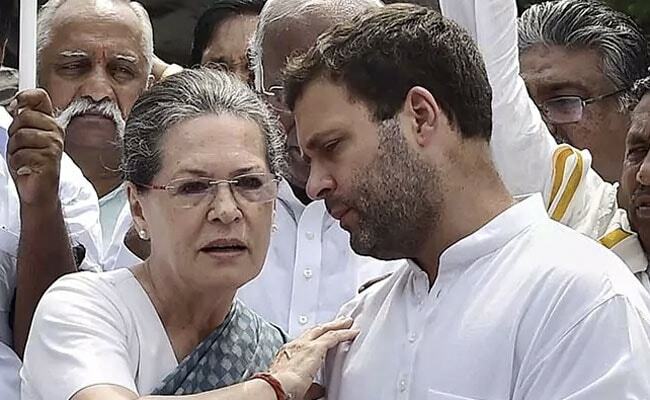 Firing a fresh salvo on the Vijay Mallya issue, the BJP on Friday alleged that the Congress-led government had "raised and protected" the fugitive businessman and Rahul Gandhi and Sonia Gandhi had flown free of cost in his airlines in exchange for bank loans given to him. The BJP's media head Anil Baluni posed eight questions to highlight the alleged help provided by the UPA government to Vijay Mallya, after the Congress claimed that Prime Minister Narendra Modi and Arun Jaitley's "silence" on the row over the one time liquor baron's meeting with the finance minister was an admission of guilt. "Why Rahul Gandhi does not answer these questions? Why his lips are sealed when faced with these burning questions. What can be a bigger evidence of corruption than the fact that it was the Congress government which raised and protected Mallya," he said. Hitting out at the Congress president, Mr Baluni said he suffers from "ideological bankruptcy and does not know what he says, does and understands". He cited the then prime minister Manmohan Singh's reported comments in 2011 that Kingfisher Airlines, now defunct, needed to be helped and asked if it was not true that the then finance minister P Chidambaram ignored rules to provide relief to the loss-making airline. "Is it not true that in exchange for providing (bank) loans to Mallya the then UPA chairperson and Congress president Sonia Gandhi and current Congress president Rahul Gandhi travelled free of cost in the airline's business class," he asked. The two parties have been training guns at each other after Mallya claimed in London on Wednesday that he had met Mr Jaitley before leaving India. The finance minister refuted his claim, saying he had never given him an appointment but the businessman misused his privilege as a member of Parliament to accost him in Parliament but he asked him to approach his banker. Rahul Gandhi had accused Mr Jaitley of colluding with a criminal and sought his resignation. Congress lawmaker PL Punia also claimed that he had seen Mr Jaitley speaking to Mallya in Parliament's Central Hall on March 1. BJP's IT department head Amit Malviya claimed that Mr Punia was "lying" under Mr Gandhi's instructions. Party sources have said Mr Jaitley was busy in a number of events on that day as he had presented the Union Budget a day earlier and it was unlikely that such a meeting would have happened.